Aleksandar Mitrovic started training at Newcastle yesterday for the first time, and here are some photos of him in the Newcastle. The 20 year-old will likely make his debut for Newcastle on Saturday against Borussia Monchengladbach at St. James’ Park- that will be worth seeing. The lad looks in good shape – and maybe he’ll have a strike partner soon – hopefully Charlie Austin. Williamson, Coloccini, Elliot, Vuckic, Obertan , Taylor, Abeid, Gilliead and Marveaux. Gouffran, Anita, Krul, Cisse, Tiote, Ameobi, Dummett, Bigi. I don’t want him to score during pre season hopefully he will play 20 mins tonight half an hour on Saturday then against the saints start and blow them away and really catch the eye. Am I the only one that actually thinks he doesn’t look in great shape? Don’t know if its just the way the jumper hangs on him but i feel he looks a little like hes carrying a bit extra unwanted weight which he could possibly lose and help make him sharper. Talk that behranio is about to sing for the spuds within the next 7 days so yous can definitely cross that one out. The Broons – Totally agree, lad looks far from ready to go, needs to shed a few pounds for sure. Good to see you’ve nowt better to do than have a pop at Ed. Spurs are the new Vila and just because they’re in London doesn’t make them any better. Being third rate after Chelsea and Arsenal must irritate the hell out of them. Berahino and others should take a deep breath and think carefully about where they ply their trade . Maybe just maybe Newcastle is now the place to be. One club, one City, one Toon, one hell of an opportunity to make their mark. Fortune favours the bold. Must go for a lie down now as I’m coming over all emotional. I admit I didn’t think we’d get Mitrovic, but I feel absolutely sure we were never going to get Berahino. Doesn’t make much sense for him to move from a mid-table club to another which actually aspires to be mid-table. Any move he makes has to be an upwardly mobile one, logically. It’s not like we were going to blow everyone else away with a massive fee and wages is it? 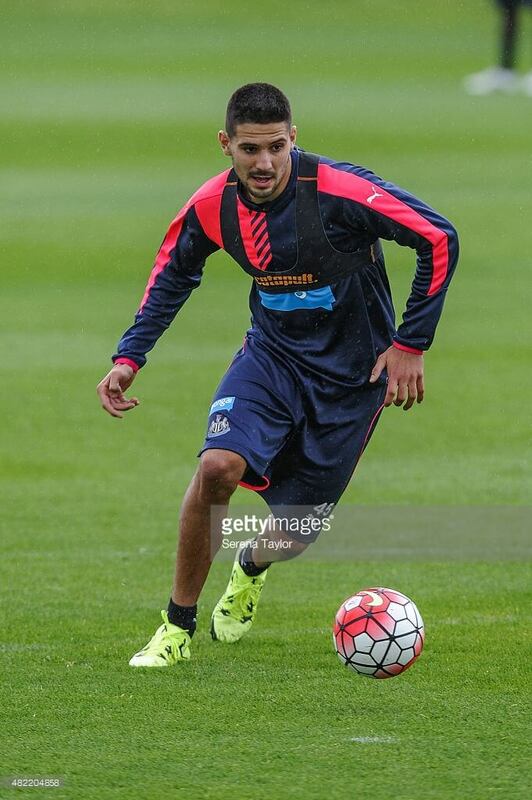 BTW Mitrovic looks in OK shape to me. He’s in that solidly built Viduka mould. He’s never going to look slim and lithe from what I can see, but I don’t think he needs to be. I agree in that we need a winger type striker. Austin is too similar to Mitrovic in my opinion. We need a fast, mobile player that takes players on and knows how to finish. I think Mitz looks fit enough, he,ll be ready for Southampton,that will be his target. Still cant see the Austin thing happening, he.s too similar to Mitrovic i think we,ll spend whats left in the transfer kitty on a CB. Fans seem to forget that its Ashley who is still pulling the strings and a leopard never changes its spots. So all you bloggers who think there,s pots of money to spend on a class striker AND a decent CB will be so dissappointed.